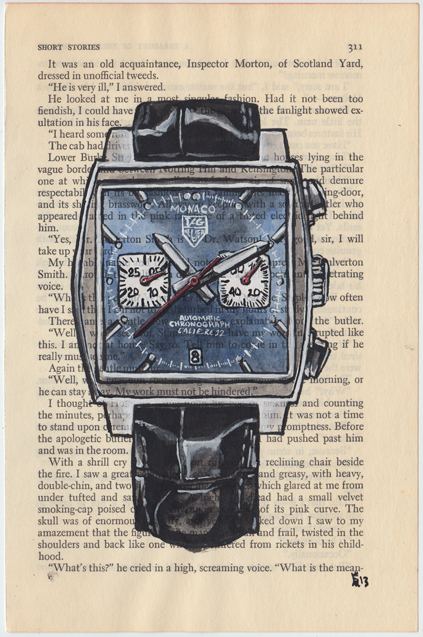 This Tag Heuer Monaco watch was submitted by Patrick Lukow. Patrick is the first to take advantage of the pre-sale opportunity in the '100 Watches Project' Gallery. He was really excited about his submission and made sure to let me know that he was interested in having the first chance to purchase. Before it was even posted and finished Patrick purchased and owned his great Tag Book Page illustration.